These earrings are so beautiful! 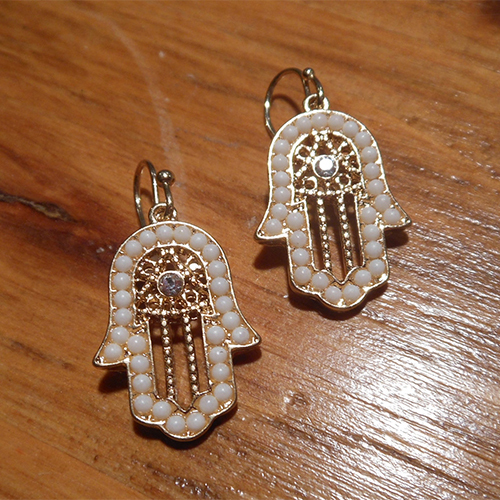 They are little dangling hamsa hands that are lined with white beads. They are gold toned, with a little rhinestone in the center. These would make a nice holiday gift for any lady on your list! They hang from wire earring hooks, and they measure an inch long.